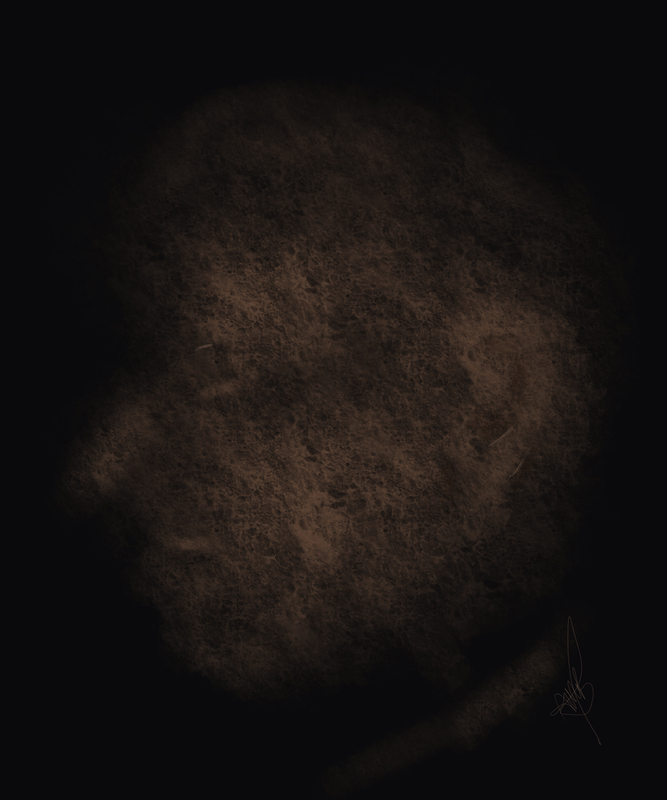 Can YOU see the face of spirit in the painting? When I paint in a light altered state it's not unusual for a spirit person to automatically appear in the painting. 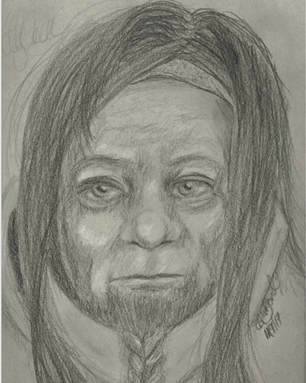 Spirit Portraits represents the Physical Image of a person who lived an earthly existence like you and I. 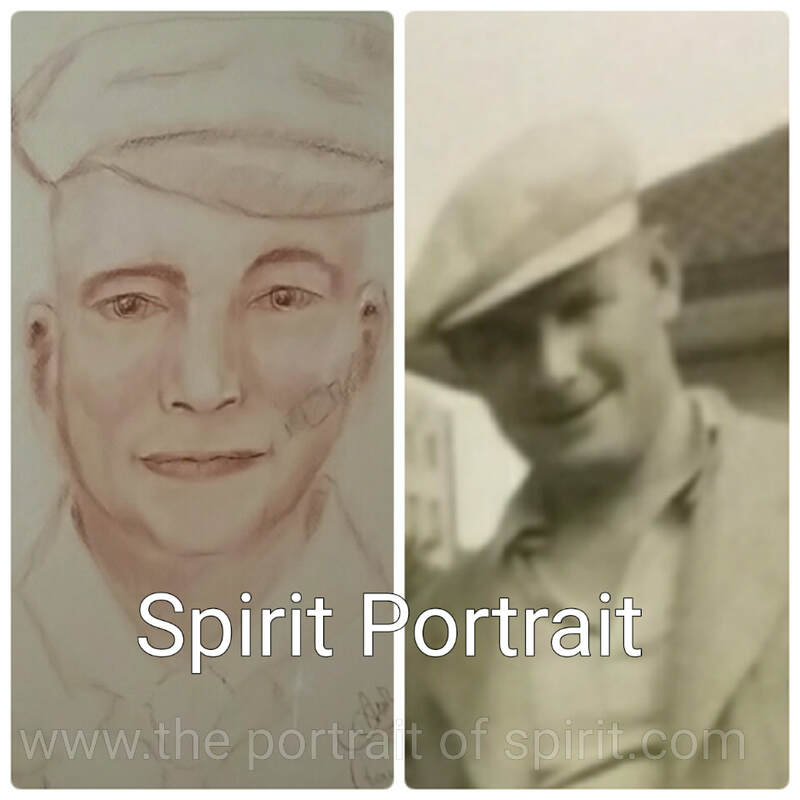 The purpose of a Spirit Portrait is to see the visual appearance of the Spirit Communicator as PROOF of communication of how they looked when in physical form. 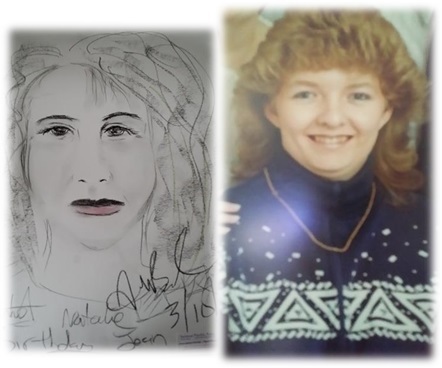 A Spirit Artist (like myself) will draw portraits in a private sitting or public demonstration with Mediumistic Evidence. Psychic Art is in fact a drawing predominantly applied with colour that indicates the Soul of the Recipient, their Past, Present and Possible future and through the Psychic Artists ability to interpret Psychically the vibration they received from the Recipient can provide information about their life. It's like a Tarot reading but instead of tarot cards... paper, coloured pens, crayons, paint, pencils are used. 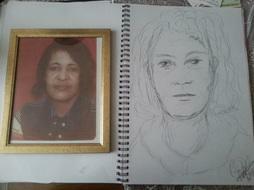 I am both a Spirit Portrait Artist and a Psychic Artist. I will work according to the needs of my client. 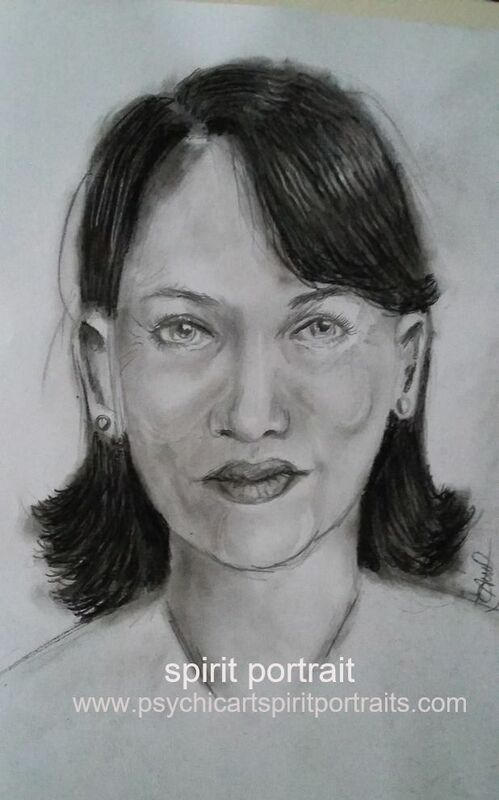 It's important to note that as a Mediumistic Artist, I provide Evidence as a way of Proving the consciousness survives physical death and through my sensitivity feel, see, sense the thoughts of the Spirit Communicator to enable me to DRAW their portrait. 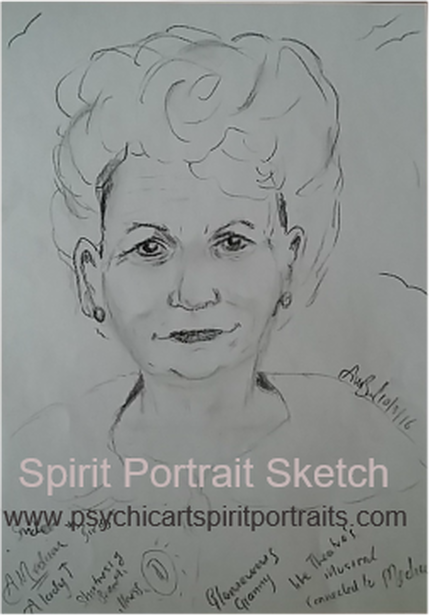 Spirit Art is the DRAWING process that ends with a pencil sketch portrait resembling how a spirit person looked in the Physical Body. 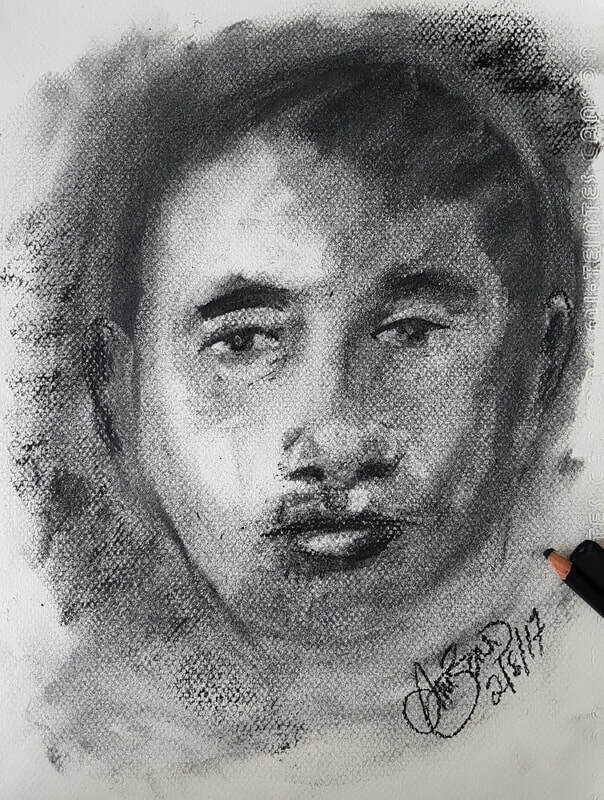 I prefer to say a sketch because of the quickness how the portrait is drawn which is solely meant to resemble the person in spirit but not meant as a photographic image. 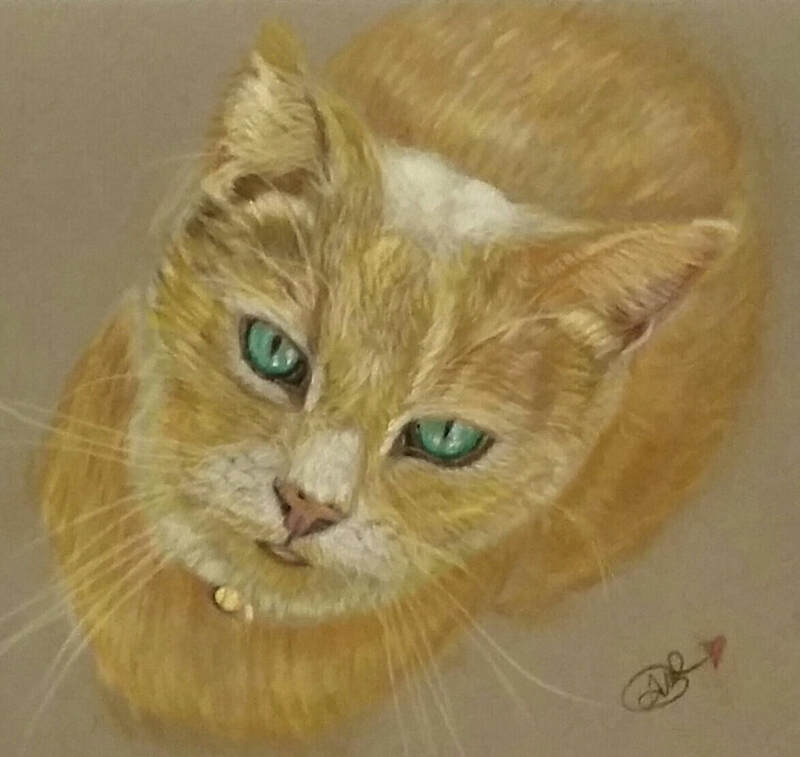 My Fine art portraits takes a minimum of 10 hours to complete a 'true likeness' of a person or PET. 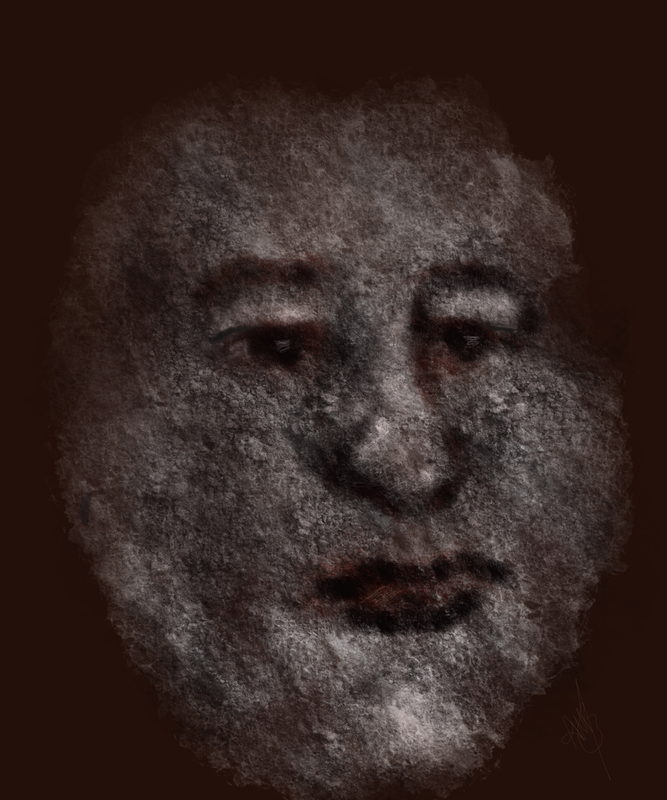 A spirit portrait , this cannot be done by 'any professional' to produce such a fine art likeness within 5-8 minutes spiritual demonstration contact. View Examples of my fine art at the very bottom. We ought to remember that our loved ones who were not artists prior to passing are unlikely to become master artists now, just because they are on the other side. 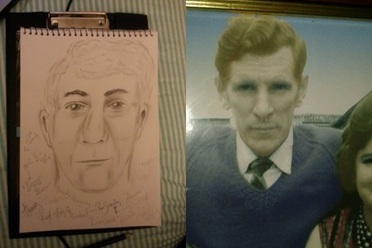 In fact, they may find it an enormous challenge to portray how they looked in their previous physical form so the medium gives a good verbal representation, let alone getting them to draw an actual real-life likeness of the communicator! It's important to understand just because they now live in the spirit dimension doesn't mean they have all suddenly become Van Goghs! 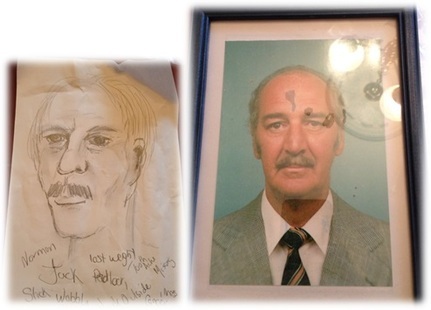 They need to be trained by more experienced spirit teachers who are able to assist their transmission of their thoughts through the physical minds of mediums so the image on paper is a near to life like portrait enabling their loved ones to give instant validation. 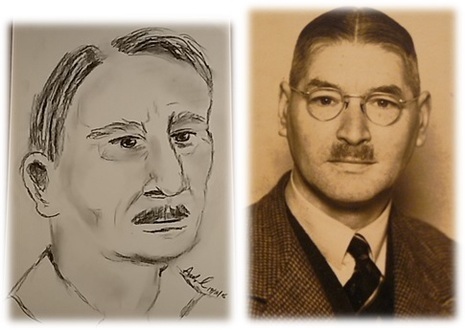 The challenge faced for Spirit artists mediums could be one of the reasons why some drawings appear more accurately life-like than others. ​Those recently arriving to the spirit realm are still learning how to fully grasp the process of transcending their thoughts via the mediums mind and this is why sometimes depending on the communicator, the medium or even the spirit person will result in a strong or weak communication contact. Patience is the key for everyone involved! 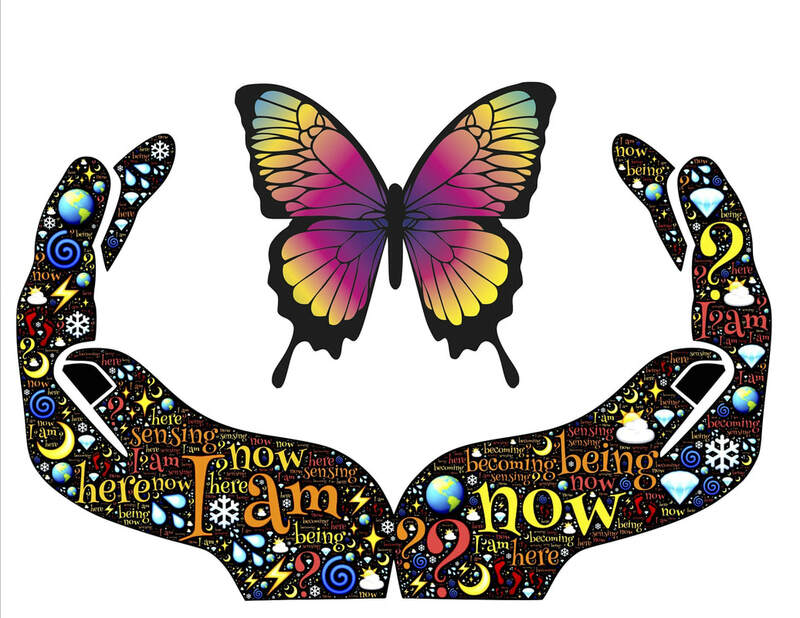 ​The Spirit guides or helpers assist with the communication process to help provide the gateway needed to support the sitting and I believe that sometimes it's better to allow the spirit communicator to say what 'they want to say' than trying to dictate or force the spirit person to talk about what they haven't come to say. The more patient and open minded the recipient is will also assist providing the right energy for that sitting! 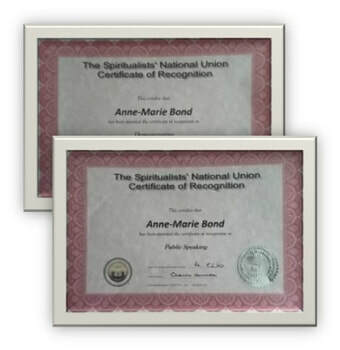 As a spiritual accredited medium I love re-connecting people to their loved ones, hoping to prove they *LIVE* albeit in a different dimension. Trauma of 'death' is felt by loved ones remaining in physical form who no longer can 'hear', 'see', 'feel and touch' their loved ones that have *died*. 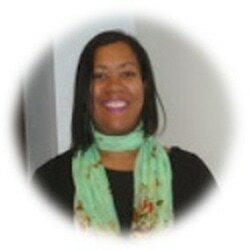 It is the physical loss that is so hard to deal with and for some the loss is so great life feels unbearable. Spiritual mediums are not immune either to the pain from the physical loss of their own loved ones but can become aware of their presence and under the right conditions hear and speak to their loved ones again and this within itself brings relief, comfort and peace of mind of the continued existence of the Soul of their loved one. As a working spiritualist medium my aim is solely to reunite those within the spiritual realm (discarnate spirit) with their loved ones living still in their physical form i.e. like you and I, who are incarnate spirit. The spirit person will want to communicate that they haven't died and DID NOT feel any pain in the moment of their spirit crossing over and were not alone as Spirit and God are always present, at all times. Having reached the other side your loved ones will still be awake, still be able to think and process and have access to memories of their past and realize that their consciousness, their mind is very much active and for some it can be quite shocking to experience 'being alive, without a physical body'. For incarnate spirit (us left in the physical world), our trauma can be unbearable and its through the process of mediumship reuniting a conversation between the two worlds that can bring about comfort and peace of mind that life is eternal and it's people like myself (spiritual mediums) who endeavour to bring about for the bereaved comfort, hope, clarity, peace of mind and healing via proof of the continuation of the human soul. 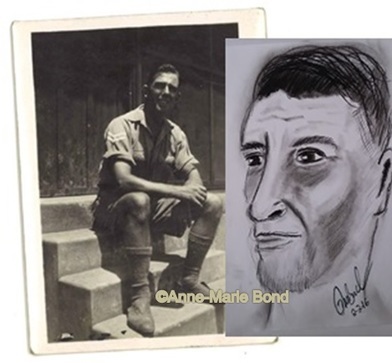 My spirit portraits are another example how Spirit People like to prove TO US that the continuous existence of the human soul can be achieved by drawing an artist drawing a good likeness of a loved one that connects to the recipient in some way. The drawing is for another family member or friend, maybe someone they knew in their past. 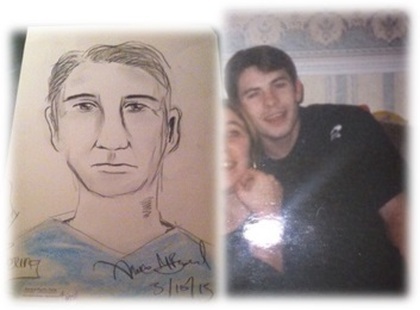 This is why it's important for the next two weeks after receiving the drawing if you are unable to provide immediate validation you show the portrait to family and friends, even via Social media, as you'd be so surprised when the recipient steps forward to claim the portrait. The Spirit world assists me as a facilitator, a medium between two minds helping to prove the continuation of life after physical death between the spirit world and the physical world to bring about healing and comfort to the bereaved or those seeking knowledge of *life after death*. ​The portraits differ from person to person you may find a style in my portrait drawings but as I allow spirit to take over you should find they are completely different with their own individual characters. The drawing process is a delicate procedure for I need to move into a light altered state whilst remaining conscious enough to speak and relay what I feel, see or hear during the process but yet still remaining with one foot on the other side to allow the communicator to blend with me well enough that automatic drawing takes place. This means 'no logical thinking', just drawing! This is also relies on my ability to tune into their vibration and therefore as my sitter, should you wish for me to draw a loved ones sketch for you, I ask that you attend with an open mind and a big hearty smile because it will help me to relax and the more relaxed I feel in your company, it allows the doorway between the two worlds to remain wide enough for the strongest communicator to come through and make a beautiful connection with us. 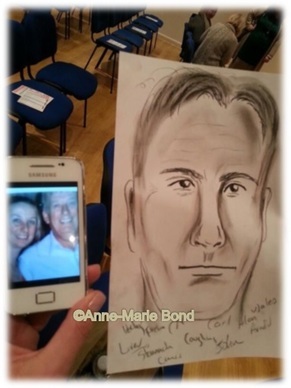 Are you interested in coming to my LIVE - Private Mediumship Demonstration with a hint of Spirit Art in London? WHAT IS PROOF OF SURVIVAL?